One of the more disturbing trends we've been seeing lately in the West is a surprising yet sinister one, a fairly rare type of thing to discover in the art world. As cities grow, develop and change with the changing tides of the global economy, many cities that were built around highly specific industries suddenly find themselves strapped for cash and scrambling to find ways to balance their books. Most problematically, many of these cities were previously extremely well off due to the boom of their specific industry, no matter whether it was automobile manufacturing or tourism, and when cities are well off they tend to invest in great public cultural works, including their own municipal museums. When the bottom falls out of their industry, many myopic - and arguably spineless - politicians look around desperately for any chance they have to offset even the most temporary of budget deficits, all as a way of propping up their own flagging efforts at financial management and appearing to be strong and decisive. For some reason, these politicians often look towards the art collections their cities built up during the boom years as a resource to be spent rather than a treasure to be protected. We saw it during the bankruptcy of the city of Detroit, as the American automotive manufacturing sector collapsed, and the emergency relief managers seriously considered selling off some of the works from the Detroit Institute of Art collection to fill up their budget issues. 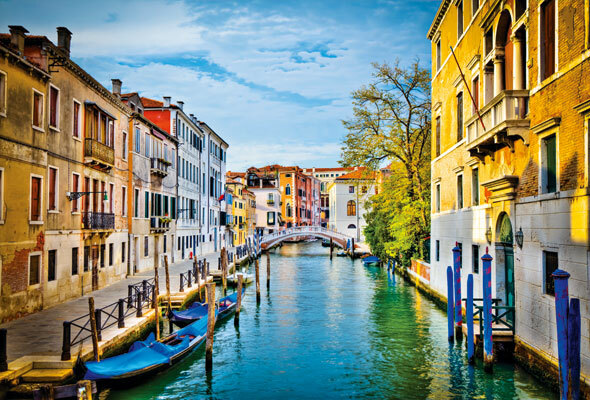 Probably the last place we would ever expect it to happen is in one of those gems of artistic and cultural history - Venice, Italy. The floating city (or the sinking city, depending on who you ask) has always been a tourist haven, and perhaps overdependence on this primary industry is part of the reason that they are now in such dire financial circumstances. However it came about, the new mayor of Venice, Luigi Brugnaro, seems to feel it is acceptable to auction off the artistic works accumulated by the city's civic museums. The works in question are by Gustav Klimt and Marc Chagall, and could raise up to 400 million euros at auction. The reason he attempts to give to justify the sale of these works? The artists have nothing to do with Venice, and therefore don't need to be house by the city's museums but should belong in private hands. It may start there, but what happens the year after when there has been no improvement in the city's financial situation? How many more works will be "justified" as saleable?